The unemployment rate rose slightly from 5.4 to 5.7 in the march quarter. I have only just had chance to look at the tables. What interested me most was the global situation. That wonderful semi-socialist paradise of Scandinavia has only one country with a better unemployment rate than NZ - Norway. Denmark is just behind on 5.8; Sweden trails with 7.1 and Finland tails with 9.2 percent. If you've listened to any of the US presidential campaign speeches - especially Bernie Sanders - you would think the country was utterly stagnant and that unemployment was raging. In reality, at 4.9% their rate is enviable by most other country's standards. Of course, unemployment rates never tell a complete story. "... the labor participation rate has risen during his three years in office, pushing the unemployment rate to a two-decade low. But the headline figures mask underlying weakness. During Mr. Abe’s tenure, the number of regular workers has fallen, while the percentage of nonregular workers has hit a record. The jump in labor participation has been fueled mostly by an increase in the number of married women and people aged over 60 taking part-time jobs as incomes of heads of households fall and the pension age rises, Goldman Sachs said in a January report." Further, while Iceland’s recovery has far outpaced those of its peers, it hasn't been wholly without hardship. Employment is up, but credit remains hard to come by, and Icelandic pensions have taken a hit. Worse, the country is struggling to find new ways to diversify its economy; it’s currently promoting tourism and tech startups, but hasn’t exactly found a sector to replace the banks. At the other end of the spectrum comes the newly unemployed Greece, with 1 in 4 with no work, and the traditionally unemployed Spain, with 1 in 5 unemployed. Spain has spent almost 75% of the last 32 years with an unemployment rate in excess of 15 percent. 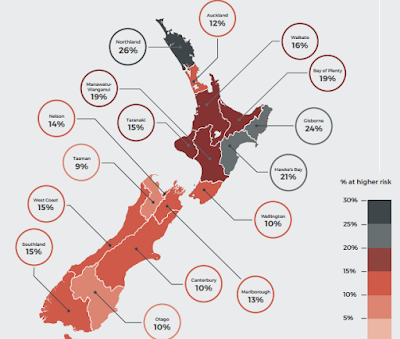 Out of 34 countries NZ is ranked 12th, just ahead of Australia and behind the US and the UK. The labour force is those people seeking work. It is a subset of the working age population (currently standing at 69% and known as labour force participation rate). Of those 38,000 newbies (who could young people entering the working age population, immigrants/ refugees or ex-pats returning, or someone returning to work after raising a family) 10,000 are unemployed. So even though there were actually more people employed (up 0.2%) over the quarter, the unemployment rate still rose by 0.3%. Sorry about the slip in spelling. A snippet in this morning's DomPost about David Seymour's disappointment that National vetoed a debate on his End of Life Choice Bill confused. Surely it can't be over as quickly and simply as that? However the bill is still in the ballot and if it is drawn will have to be debated. Or at least officially rejected by a majority of MPs. I sincerely hope that it is drawn. Today. The Morgan Foundation were at it again last week. Attacking personal freedoms to achieve the society they want. Whether its cats, climate or corpulence, regard for personal choice is utterly disregarded. If you think I exaggerate read the latest here. Instead of a facile debate over whether a sugar tax would work or not, we should be discussing which we value more – living in a free society where you can eat what you like and burden the state, or whether we value having a healthy, productive society. Geoff Simmons (Ideology behind the argument against sugar tax, DomPost, April 29) argues against the "freedom of choice" to eat what we like and wants taxes to curb consumption. These taxes will however apply to all consumers, most of whom do not have an over-eating problem. To control the behaviour of a minority, Simmons is completely comfortable with removing the majority's freedom of choice. In fact, he really dislikes freedom of choice, saying it will "clog our hospitals". That's just silly. Poor choice is what leads to obesity and ill-health. A seeming inability to deal with that issue should not lead to further punishment of the majority. Those who would so easily relinquish personal autonomy in favour of state dictates about what and how much should be eaten are frankly, scary. The NZ Herald has a report about the Salvation Army handing out increased numbers of food parcels due to rising housing costs. In Auckland anyway. The article doesn't record the source so I am assuming it's from Barfoot and Thompson. Here's their March 2015 chart followed by March 2016. 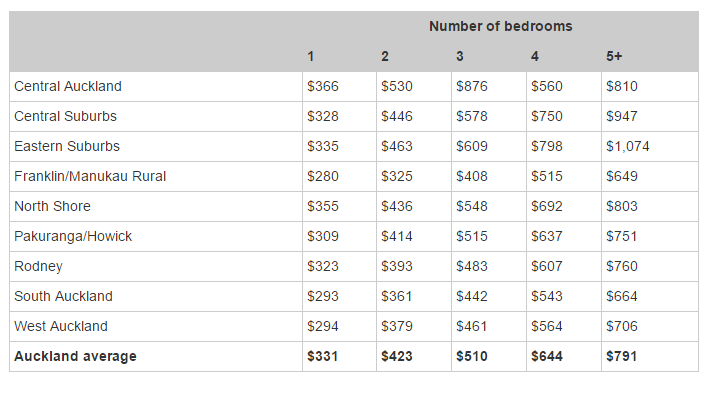 The rise in the total South Auckland area, for 3 three-bedroom house, is a lot less than in Otara - 7 versus 22 percent. 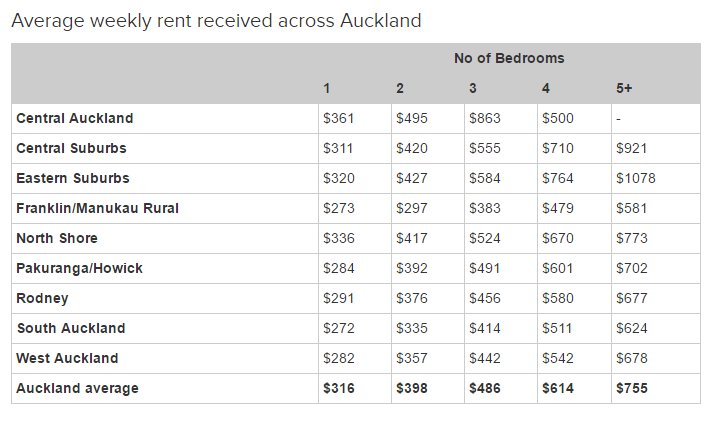 Over the last 12 months, Auckland saw an increase of $28 or 5.8% (for all property types). 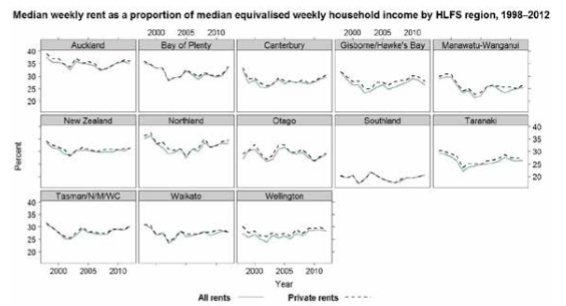 Rentals for housing increased 2.3 percent, with Auckland up 3.2 percent and Canterbury up 1.2 percent. But household incomes are also rising, even for beneficiaries (CPI adjustments yearly and recent $25 raise). 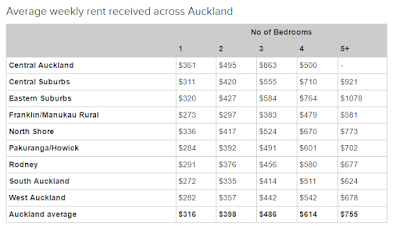 Just going back to Auckland, another aspect of the reported non-affordability is missed, at least when using official stats. 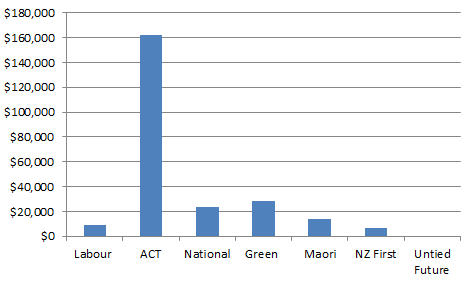 Household incomes are equivalised according to number of members. So larger families will have their incomes reduced by the process. 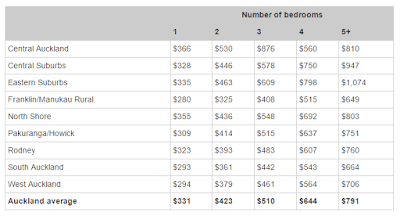 This means that the percentage that rent swallows is higher. That would certainly apply in South Auckland. And http://www.treasury.govt.nz/pu... A lot of the work being done by MSD on the overhaul of CYF integrates this information and it is a credit to this Government (in my opinion) that they are looking at the real cost to the State over the lifetime of a child born into a family with the identified risk factors (there are 4 key risk indicators) with the aim of investing in social welfare programmes that will (hopefully) mitigate against the perpetual cycle of welfare dependency, child abuse, crime etc and all the worst outcomes for children. 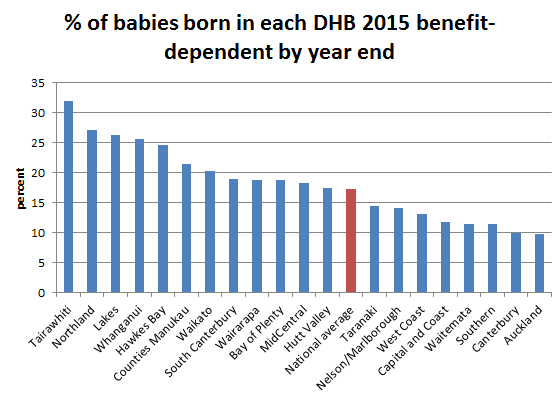 It will be interesting to see how it all manifests in the next iteration of CYF but I sincerely hope it works as there are significant problems for tens of thousands of children in NZ. I think it's our best hope yet from what I have seen. After working in this field for nearly 2 decades I can assure you I've seen nothing from the left of the political spectrum or the CPAGs of this world to really come up with a solution for the real "child poverty" in NZ in all its ugly forms - other than use the term as a political club to try and score political points. I've been to the CPAG annual Budget Breakfast analyses in past years and yearned for a shred of common sense or practical and workable solutions from them and come away disillusioned and angry at their ideological grandstanding."